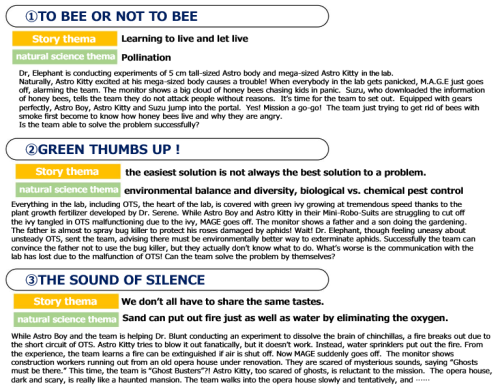 There are two different videos on the site (two of the three links are the same though). 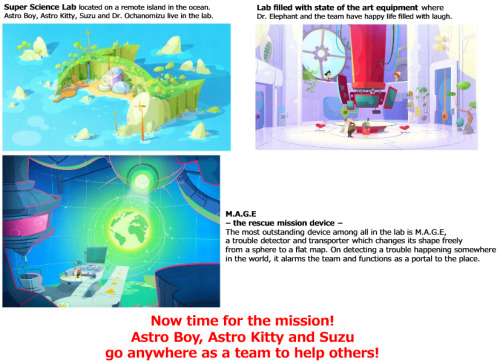 The island looks like Astro's head! 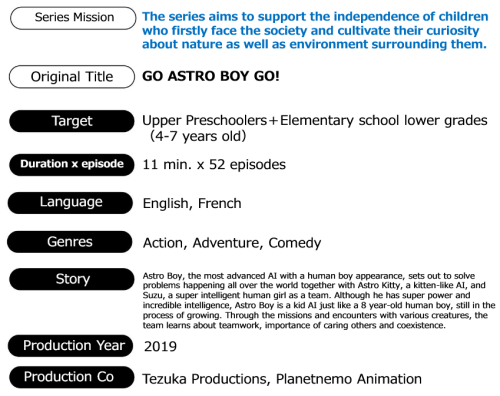 An online publication dedicated solely to information about Go Astro Boy Go has been posted by Planet Nemo president and co-founder, Frédéric Puech. 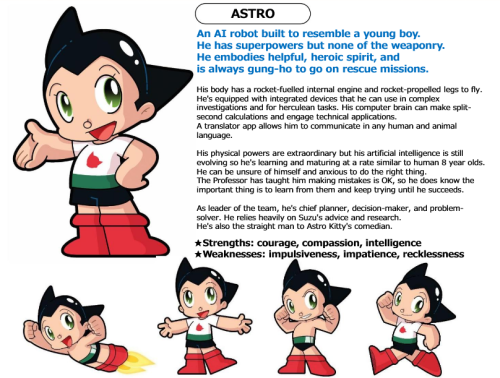 Included in the publication is an overview of the production aspects of Go Astro Boy Go, in-depth details about the main characters, and summaries of the first 5 episodes of the series. 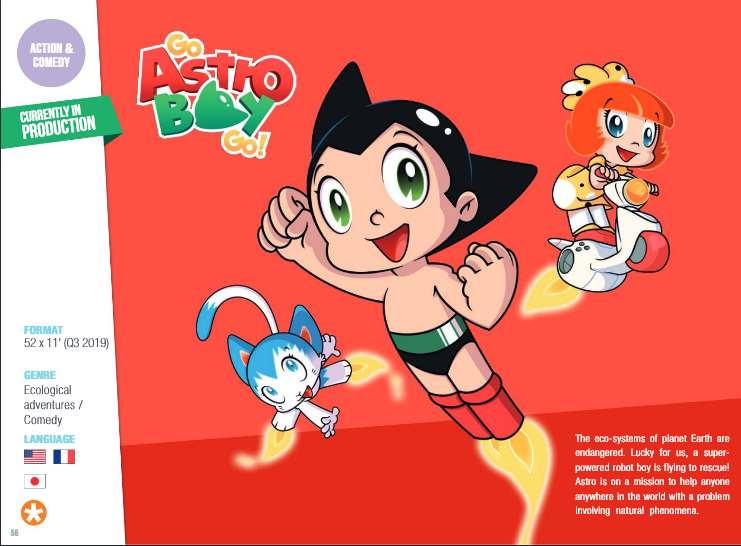 They left out the 'little astro boy' series when they showed Astro's history. Dr. Elefun was also referred to as Dr. Elephant in the descriptions. 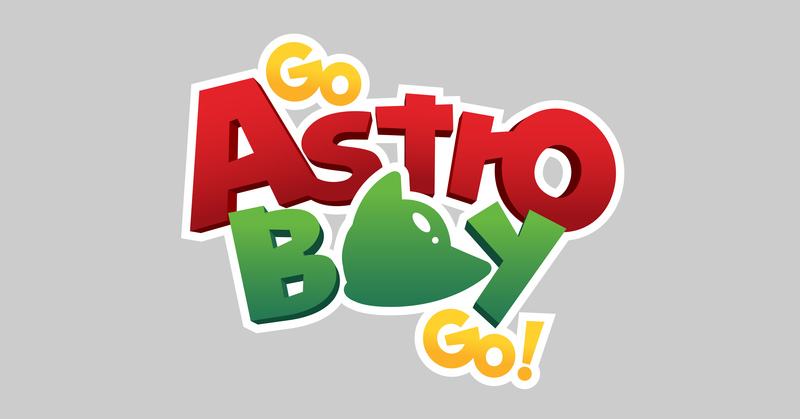 It looks like Astro won't have the fanny guns and lasers. 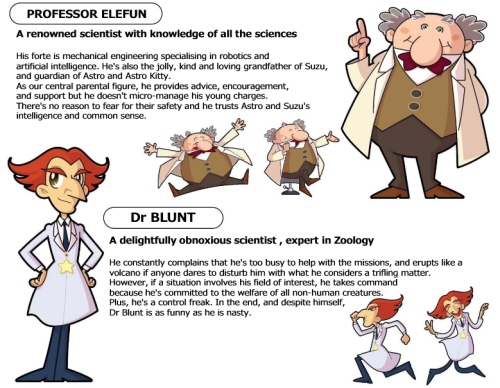 Not sure if Dr. Blunt is based on Dr. Tenma. Are the Gordskis supposed to be Hyotantsugi? I wonder when the first episode will be aired, and where can we see it? 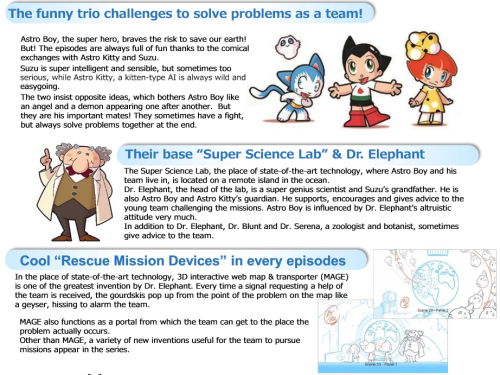 Tetsuwan Penguin wrote: They left out the 'little astro boy' series when they showed Astro's history. It is sad that they did leave LAB out of the history, but I think because LAB was such a niche series that only aired in Nigeria, people aren't really aware of it. 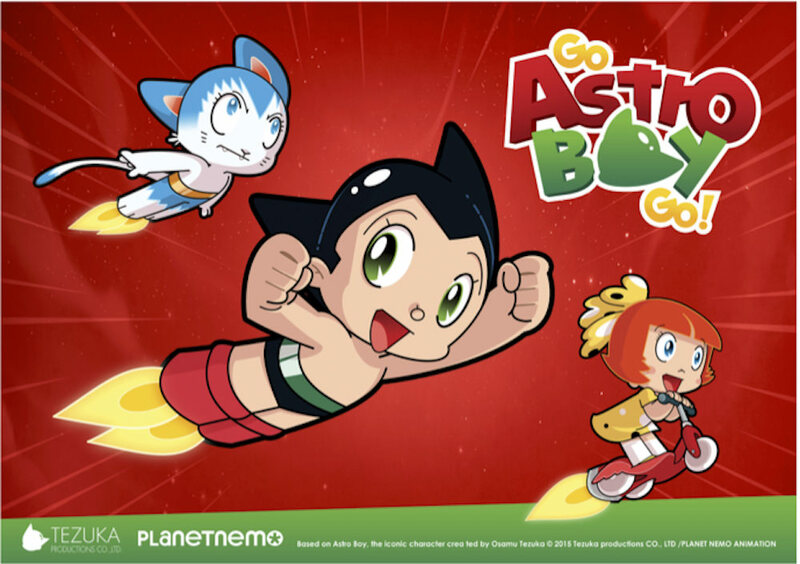 Though in that case, it is odd that Go Astro Boy Go was initially also called Little Astro Boy. Yeah, I noticed that mistake as well. They call him Dr Ochanomizu near the end of the publication too. 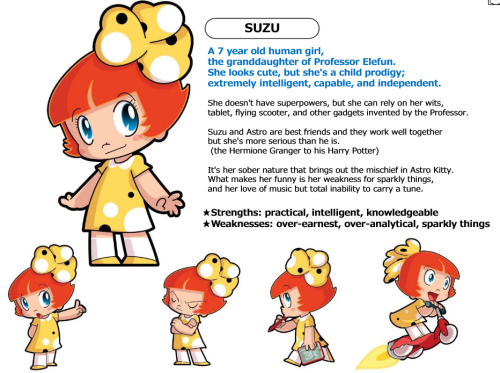 I have a feeling they'll call him Professor Elefun in the English and French versions, and Dr Ochanomizu in the Japanese version. Probably because GABG will focus more on the educational side of things rather than the action. I've thought that since Blunt was first revealed. He resembles Tenma quite a bit. 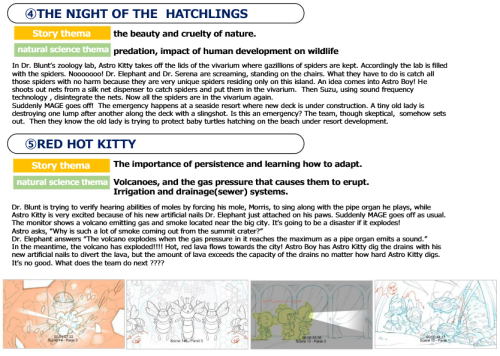 It begs the question then of why they didn't just use Tenma then, but perhaps Planet Nemo wanted to make their series a little more unique. Yup! 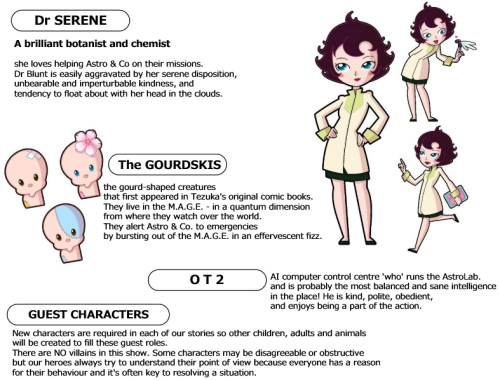 They even refer to the Gourdskis as the "gourd-shaped creatures that first appeared in Tezuka's original comic books". That still has yet to be revealed. I'm thinking they might have a deal in place for where the show will air, but the channel or digital service that will show it hasn't announced it yet. I have a feeling that announcement will come soon. There's going to be little kids who grow up with this, and when they discover the older series they'll be shocked at how dark they are. 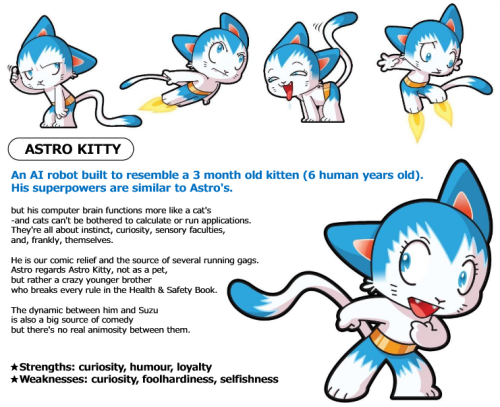 DrFrag wrote: There's going to be little kids who grow up with this, and when they discover the older series they'll be shocked at how dark they are. Many kids probably went through the same thing with the 2009 movie too.